Solar Co-Op for a FREE Info Session! to learn how the Co-Op can help you. has recorded an information session for you. 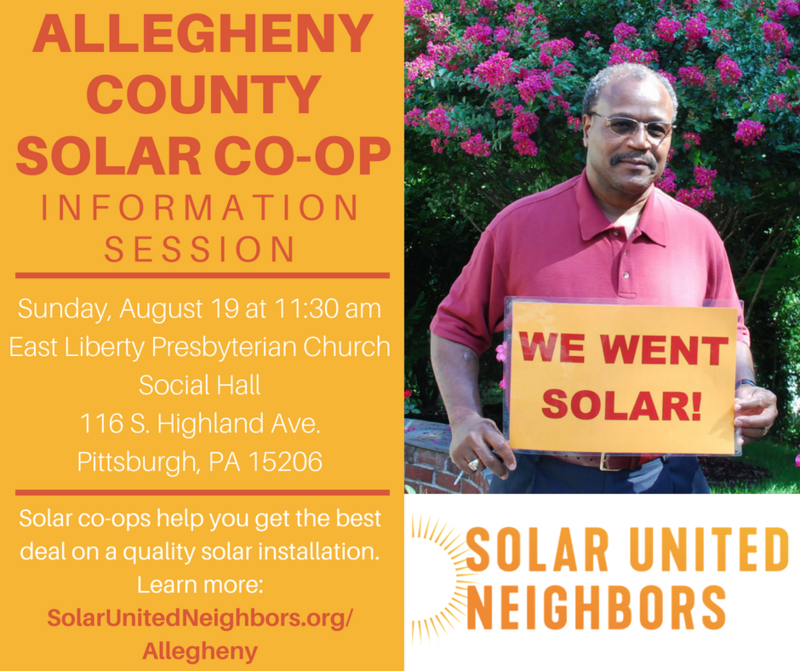 Visit Allegheny County Solar Co-op for the recorded session. and help you to go solar. Solar co-ops bring together a group of neighbors to go solar together and get a discount on a high-quality solar system because of their group purchasing power. The expert staff at Solar United Neighbors works with co-op participants through each stage of the process, ensuring that you understand how solar works, how it can be financed, and how it can be installed on your home.